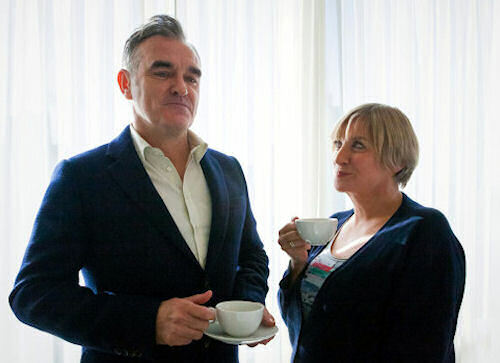 First we had Sherlock Holmes, now Doctor Who and Morrissey have been outed as inveterate and unapologetic British tea drinkers in a hard-hitting BBC documentary presented by our dear own Victoria Wood. It's encouraging to see that people in the public eye are putting their careers on the line to stand up for our national drink (alongside bitter). Dr Who (above) explained to Wood that he was a heavy tea drinker, whilst knocking back a pot of Earl Grey as they guzzled the famous afternoon tea at Claridges. Lancashire comic duo Morrissey and Wood got together in New York to discuss tea's capability of uniting the people of Great Britain, mainly as a powerful aid to grumbling. 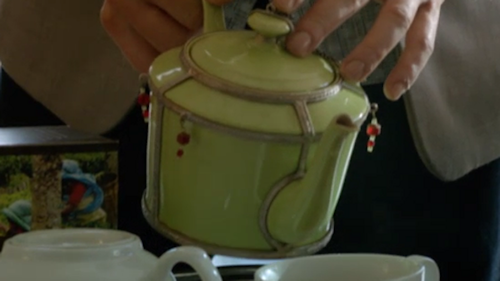 Morrissey revealed a rather fetching green teapot filled with weak Ceylon tea. Of some age, the teapot was made in Paris and bought in Rome, Morrissey informed us. 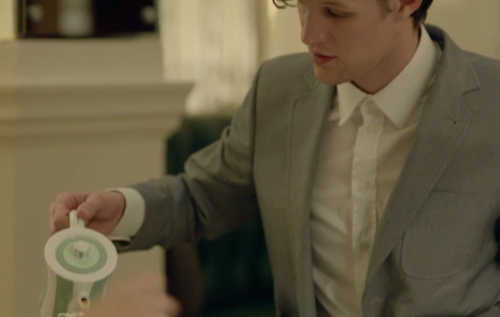 He rather heroically takes this teapot on his travels. Possibly to emphasise his tea-drinking credentials, or to show off to Wood, he also crowed that he had never drunk coffee. If you're new to tea, here are a few selected posts of suppliers that will give you support and a fittingly gentle introduction to the Queen of leaves. what about Thompsons family Teas of Ireland !!. Good point, Anon. Thanks. I've enjoyed a cup of Punjana on more than one occasion.